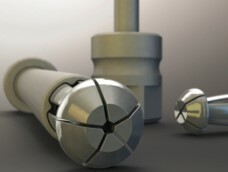 JNDC: your design for manufacture partner. together we can increase product quality, reduce risk and cost; ensuring products are optimised to meet your Manufacturing needs. Our core focus is “Design for Manufacture.” Quite simply the designs we engineer are aligned to the most "fit for purpose" manufacturing process, in the material that performs to the product's specification. Time, quality and cost are the three key elements to consider throughout the design for manufacture process. A detailed plan and product specification are a critical gateway to ensure these three key elements are successfully implemented. Since 2008 we have been working with our customers to design, develop and manufacture products. We started our consultancy working for major aerospace companies, assisting in designing products to optimise the assembly of aircraft structures. Soon, our design skills were recognised outside the aerospace industry, so we expanded our offering, taking all of our aerospace experience into a wider field. We discovered that JNDC has a unique offering; applying specialist design for manufacture skills into virtually any industry. 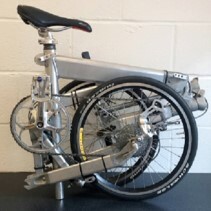 Our projects range from aircraft seats to medical devices, from folding bicycles to mobile phone cases. In recent years we have found an increasing demand for our skills and experience in business to business and retail products. All of our projects follow a series of very simple stages resulting in a final product that is truly aligned to our customers needs. Planning is the first of four stages. Before jumping into the engineering detail, we take a step back to undertake a design and project review, which allows us to explore the project with you and plan in detail to ensure the final product will meet the specification. By defining a detailed specification we are then able to move onto the next stage; initial development. 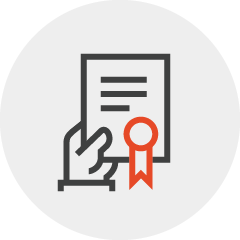 We work with our customers to develop a clearly defined product specification. Based on our experience managing design for manufacture projects, we work up a detailed project plan, identifying and mitigating risk throughout the project. The product specification and project plan are combined and reviewed to forecast costs from initial design through to production. The initial development process typically utilises our skills in Computer Aided Design, creating three dimensional models to visualise how the product will look and operate. Our expertise in materials, prototyping, testing and engineering allows us to prototype and test the product before going onto the next stage; detailed design for manufacture. From hand sketches through to CAD modelling, we develop the design based on the output of the planning stage. Utilising a vast range of prototyping processes, we convert our initial designs into a physical prototype, enabling customers to see and handle their physical product for the first time. Initial testing of the prototype is critical at this early stage to confirm the initial design meets the product specification. If needed, changes to the prototype can be made at low cost. The detailed design for manufacture stage builds on the planning and initial development work, refining the design into a fully functional CAD model and set of engineering drawings ready for pre-production prototyping and testing. We use the latest state of the art Computer Aided Design tools to develop detailed 3D models of all parts, components and assemblies, checking the design before final pre-production prototyping. Our skills and experience in pre-production prototyping enables us to create advanced prototypes, that mimics the final product, without the need for production tooling and processes. 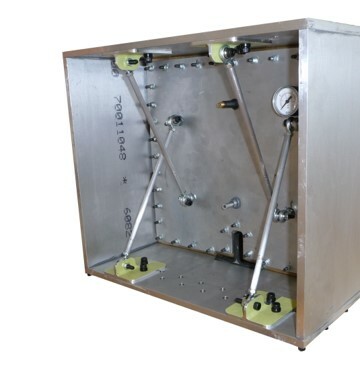 Final testing of the pre-production prototype ensures the product performs to specification prior to production, significantly reducing the risk of production parts requiring modification. We have managed the manufacture of designs in the United Kingdom, Europe and China. Being on the factory floor, observing the tooling and parts being produced is how we developed our specialist understanding of the subtleties in design required to deliver a product truly aligned to a manufacturing process; on time, to quality, at the target unit price. We manage our suppliers and manufacturers to ensure parts are made on time, to the specified quality and cost. We liaise with manufacturers during the setup of a custom assembly line. First run production samples are taken and checked for consistent quality. With production samples signed off, we continue to liaise with the manufacturers during ongoing production to further optimise the manufacturing and assembly process. Some of our customers, with a product already in manufacture have a specific need to adjust the design or manufacturing process to resolve issues. These customers have often experienced a problem with either lead time for the product, in service quality issues, or the cost of the product is not meeting the needs of our customers business. In such cases, the focus of the design & project review is to unpeel the layers of information to determine the root cause of the “issue”. With the root cause identified we begin at the appropriate project stage. Such projects can result in simply optimising manufacturing and production, through to a completely revived, refreshed product. Here are a few of our most viewed case studies. If you would like to see more, just click on any thumbnail.